The County of Mohave Arizona operates two parks that accommodate RV camping. Hualapai Mountain Park encompasses 2300 acres with elevations ranging from 4984 to 8417 feet. For RV campers, 11 spaces are offered with water, sewer, electricity and barbecue grills that can accommodate vehicles of up to 25 feet. 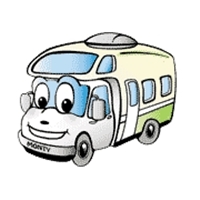 El Monte RV can take care of all of your Arizona RV Rentals needs from its Phoenix RV Rental location. This entry was posted in Arizona RV Camping Vacation. Bookmark the permalink.